The concept series offers good value for money mostly. I have the concept 6 secondhand and I am pretty much happy with them. Allthou later series have a more laidback sound (concept 6 is pretty crisp and low on bass). The concept center on the other hand, is not that good. It has a different tweeter than the other concepts (except for concept 1 i think), and it shows. The sound signature is about the same, but the lack of power from the tweeter creates a noticable "hole" in the front row. Dialoge is ok, but as soon as there is a lot of sound and action coming through the center, it all drowns in a mess. This problem also shows when sound is moving from the side speakers over to the center. The sound looses its crispness through the center. Even if you have concept speakers i would recommend avoiding the center and go for another dali center. The new zensor range sounds amazing, and is well ahead of the now aging concepts. But, pay attention to the center channels in the budget dali range, and listen to them before you buy. Bought this on Ebay for $100 to use as a center for audio only. It has a very full deep tone and is very clear. 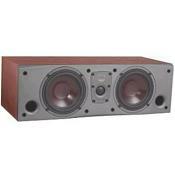 I'm powering it with a Yamaha RV 995(100 watts) and the sound fills a fairly large room quite well. It's matched with a vintage pair of Pinnacle PN8+ fronts and Pinnacle AC800 rears. The deep sound of the Dali Concept blends quite well with Pinnacles' in quite a number of settings. It has enough bass that I don't feel the need to use a sub. For the money, I consider it to be an excellent center.